Council offers a variety of opportunities for employment based training including cadetships, apprenticeships and traineeships. We also offer work experience opportunities that encompass a variety of unpaid work opportunities that provide the volunteer participant with the opportunity to gain specific vocational skills and experience in a work-like environment. Recruitment campaigns for training based positions are commenced each year (generally in the latter part of each year) on a replacement base, as required. Each year the number and opportunities vary to match operational needs offered across the diverse council departments and vocation. We have a range of cadetships available, each providing practicle work structured around your chosen field of either Civil Design, Engineering, Environmental Health or as a Surveyor. Entry subjects and requirements vary with each cadetship. Visit our current vacancies page for cadetship opportunities throughout the year. Our trade apprenticeships are a great opportunity to get a head start in your chosen career. They combine practical work with structured training to give you a nationally recognised qualification and the experience you need to be a 'tradie'. Minimum education standards are required. Recruitment for apprenticeships commences in the latter part of each year, with positions commencing early the following year for a minimum duration of four years (some apprenticeships are longer). If you can clearly illustrate your interest in the chosen apprenticeship, enjoy practical and manual activities, an apprenticeship could be the career for you! Visit our current vacancies page for apprenticeship opportunities. If you are looking to start your working career with a nationally recognised qualification, enjoy working in a team environment and want to earn while you learn, then you need to talk to council. To apply for these minimum 12-month (nominal term) traineeships, it is essential that you have completed a minimum of year 10 with passes in English and Maths. Visit our current vacancies page for traineeship opportunities. Your application will need to include a current resume and school results (if available). Work Experience is an umbrella term that encompasses a variety of unpaid work opportunities that provide the volunteer participant with the opportunity to gain specific vocational skills and experience in a work-like environment. Each year we are approached by organisations such as schools, universities, job find agencies, community bodies and return-to-work co-ordinators to host work experience participants. Participants are generally placed within council primarily to observe and learn – not to undertake activities which require extensive training or experience. All work experience opportunities that we host are of an unpaid, voluntary nature. 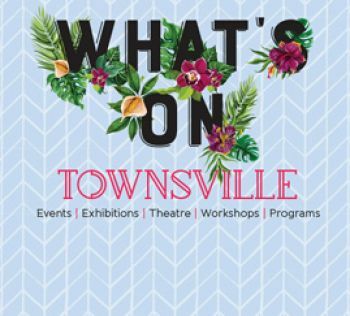 expand their knowledge of council's role in the Townsville community. Although the primary purpose is the development of the participant, work experience can be a valuable and rewarding exercise for both council and the participant. You will need to identify what occupation you would like to explore as a work experience participant. As there is a diverse range of occupation types within council you may wish to review the council website to identify a work topic that may interest you. Discuss with your (Career) Coordinator your interest in applying for work experience with council. Additionally, as council offices, depots and facilities are geographically dispersed across Townsville, you may need to consider how you will be able to travel to and from your preferred work site. that some council offices, depots and facilities require work experience participants to supply their own Protective Personal Equipment (PPE). We will endeavour to provide work experience opportunities whenever possible however as resources, such as adequate supervision and physical space, are not always available we may not be able to accommodate all requests. Please note that due to Work, Health and Safety provisions opportunities for work experience are not offered in all council occupations. Townsville City Council’s work experience program is designed to provide participants with an insight into how local government operates and to provide them with knowledge and practical experience in the field or industry of interest. Our program is open to people registered with a school, university, job find agency, community body or return to work program provider. Our People and Culture team facilitate all requests for work experience. To obtain a copy of the current Work Experience Placement Form, please forward your request to hrenquiries@townsville.qld.gov.au. Email HR Enquiries with relevant details, students name, requested dates, area of interest and any other relevant information. People and Culture will reply to the request within 2 weeks advising if the area requested are able to host the student. If a placement is found, the work experience placement form will be emailed to the student/career advisor with any further documents required. Signed documents must be received by People and Culture 2 weeks prior to placement commencement. Once all paperwork is returned signed to People and Culture the placement is confirmed. We ask the student to contact their supervisor the week before their placement to discuss any requirements for placement and arrangements for their first day. Should you have any further queries, please contact the People Services team on 13 48 10. Council also provides a number of opportunities that enable tertiary Engineering students to undertake their course required work experience placement that will facilitate the development of valuable employability skills. Due to the diverse range of Engineering expertise required by Local Government’s such as us, opportunities may be available for students studying any strand of engineering. If you would like to be considered for placement opportunity during university break please contact your College’s Career Advisor who will provide you with information on applying for our opportunities. To view any training based employment opportunities that are available look under current job vacancies. All opportunities are advertised on our website as they become available. For further information on opportunities to work with council, please contact Human Resources, Recruitment Team on 13 48 10 or email us.